Over the last week a large number of Gmail users have been scouring the Internet to find an Inbox invitation. In fact, there have been almost 1000 comments on my Where Can I Get an Inbox Invite article that was published on Friday, October 24th, 2014. I received my invite on that Friday but have been unable to invite any friends. From what I understand, Google is slowly rolling out invites to users that have access to Google Inbox. 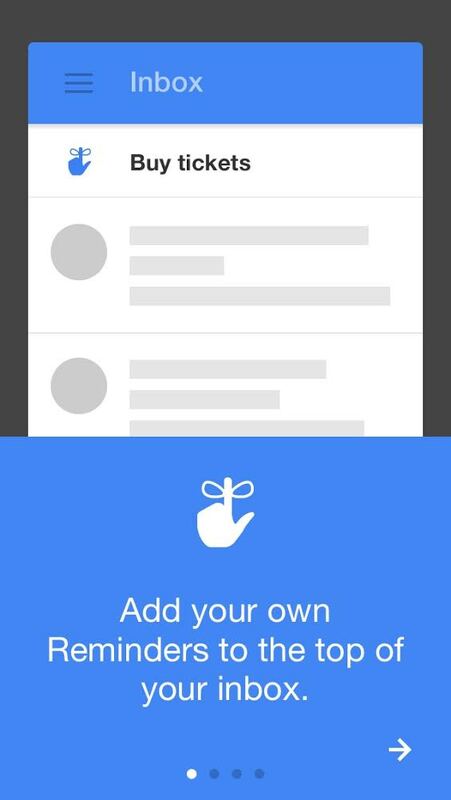 Add your friend’s account to your phone (For Android, head to Settings —> Accounts; for iOS, use another Google app). Fire up Inbox and sign in with your friend’s account. Inside Inbox, open the left-side panel and tap “Manage Accounts.” Slide the switch for your account to “on.” You can also choose “Add account” for additional account. Delete your friend’s account from your phone (For Android, head to Settings —> Accounts; for iOS, go to the “Manage Accounts” screen in any Google app). Have your friend add your account to their phone (For Android, head to Settings —> Accounts; for iOS, use another Google app). Have them fire up Inbox and sign in with their account by opening the left-side panel and tapping your account. Download and install Google’s Inbox from Google Play or Apple’s App Store on your phone (the Chrome app won’t work for this). Sign in to Inbox with your account on your phone. Have your friend delete your account from their phone (For Android, head to Settings => Accounts; for iOS, go to the “Manage Accounts” screen in any Google app). As of October 28th, 2014 this still works. I would imagine that the Gmail team has been made aware of this and will likely adjust the ability to complete the work around. Please feel free to comment below to let me know if this method still works. If it does not work, I would also be open to hearing other ways you have accessed Google Inbox without receiving an invite. If you have received an invite and you are looking to invite others post your contact information below as there are thousands that are looking to get an invite as soon as possible. Wetrock Farm Agrihood Community Comes to Durham, NC | How Do I Trash Emails in Google Inbox? You are welcome Travis. Please let me know if it works for you. If my friend’s account haven’t invite yet , it’s still work ? Can any of u please send me an invite for inbox…. Any invitation for me? javierburgos82@gmail.com Tks!! Hi, can someone send me an invitation please? Thanks guys. Can someone please invite me? I have been waiting for almost 2 weeks now. Please, any1 has some invites left? Send me an invite please! “I will gladly pay you Tuesday for an invite to inbox today”!!!!! Can anyone please spare and invite?? Hi! Please send me an invite. I will pay it forward as stipulated. Just sent around 5 people Google invites, I hope you guys enjoy it and please help others get it. Please invite me to inbox. Plz invite me it’s urgent need please. Please please please invite me!